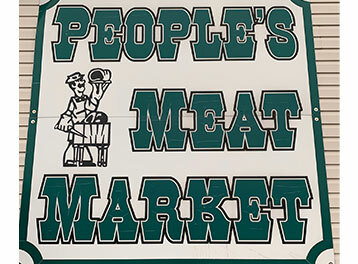 People’s Meat Market has been family owned and operated since 1938 and is the only full service meat market in Portage County. We only sell choice beef in our store. Halves and quarters are from a local farm in which we work very closely with the farmers to ensure quality. All halves and quarters we sell are Black Angus. 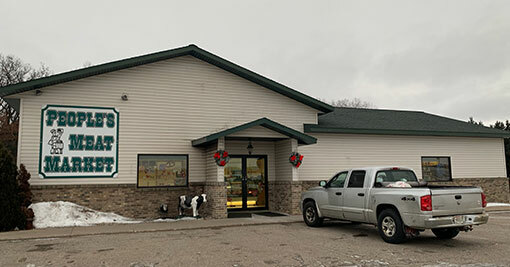 Steven's Point full service meat market with wild game processing of Deer, Antelope, Bear, Mule, Elk, Caribou, Mouse and more. Beef supply is no accident. It's thousands of miles and 21-30 months from conception to consumption . . . from ranches to feedlots to packing plants ... until that steak or roast is finally cut, wrapped and ready at your neighborhood food store. In between are countless management decisions resulting in profits; losses; successes; failures; huge investments; and months of long, hard work. We also do custom slaughter of farm animals. 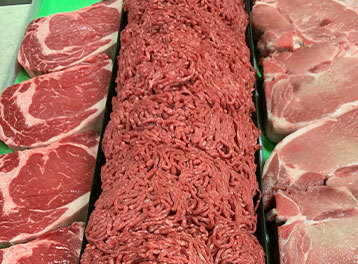 Many people think there's plenty of beef no farther away than their favorite food store. But it's not that simple to get high quality beef where and when people want it. There's no quick way to a T-bone steak. 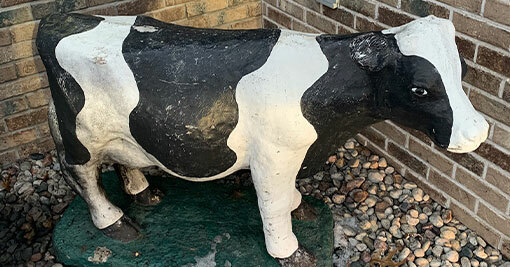 A cow provides room and board for nine months until the calf is born ... then five to seven months of a cow and calf on pasture to yield the calfs weaning weight of 500 lbs. Then depending on forage and economic conditions, another 3 to 8 months of hay; grass and crop residues are needed" to result in feedlot ready- cattle between 650 and 850 lbs. After 3 1/2 to 6 months on grain, protein, supplements, hay and silage, an 1.150 lb. feedlot-finished steer is ready for processing. An 1,150 lb. steer doesn't yield 1,150 lbs. of beef. On the average, that steer yields a 714 lb. carcass. Approximately 146 lbs. of fat and bone are trimmed off leaving about 568 lbs. of retail beef cuts. Very little of the other 582 lbs. is lost, however. It includes about 27 lbs. 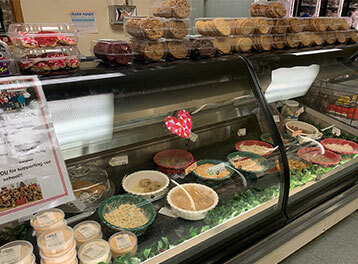 of variety meats (liver, heart, tongue, tripe, sweetbreads and brains), plus by-products that are used in a variety of foods, cosmetics, clothing and a host of manufactured items. These by-products are also an important source of life-saving, life-improving medicines such as insulin and heparin. Retail prices of beef must cover the price paid to the producer, cost of processing, refrigeration, transportation, rent, taxes and labor.